We can't receive our financial investment proposals from our bank in French. We can't speak in French to the administration even if they understand it*. We can’t even speak French at stores; French-speaking sellers are reported. We can't choose a French school for our children education, by law. We should speak in Dutch in public places, even to other French people. French politicians are found guilty for sending us messages in French. In the French-speaking Brussels, Dutch people are attributed by law 20% of Brussels parliament sieges and 50% of the Brussels government even if they only represent between 3 and 7% of its population. 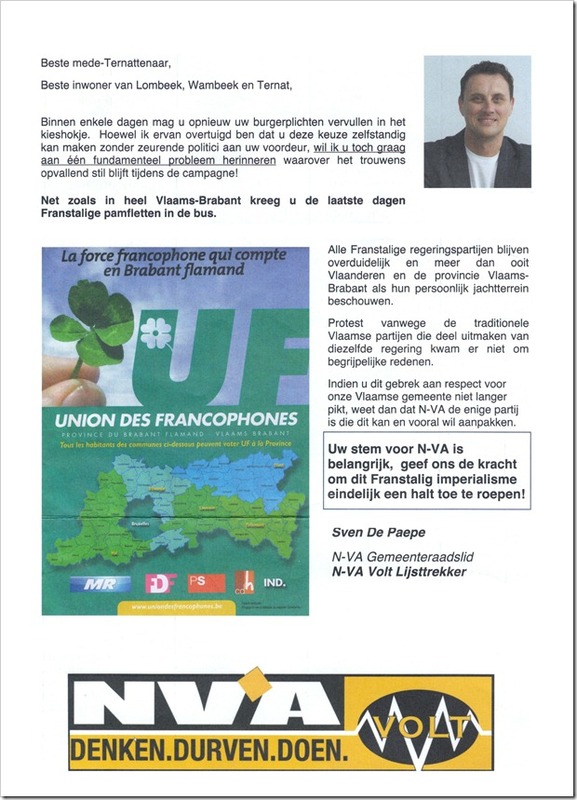 To the contrary, the French-speaking minority in Flanders has to merge all its parties in a single one (Union des francophones) to get a single siege in the Brussels periphery. Yet we're being told that the French Imperialism should stop. Go to hell, NVA. Background: NVA seduced more than 35% of Dutch electors in the latest federal elections in Flanders. 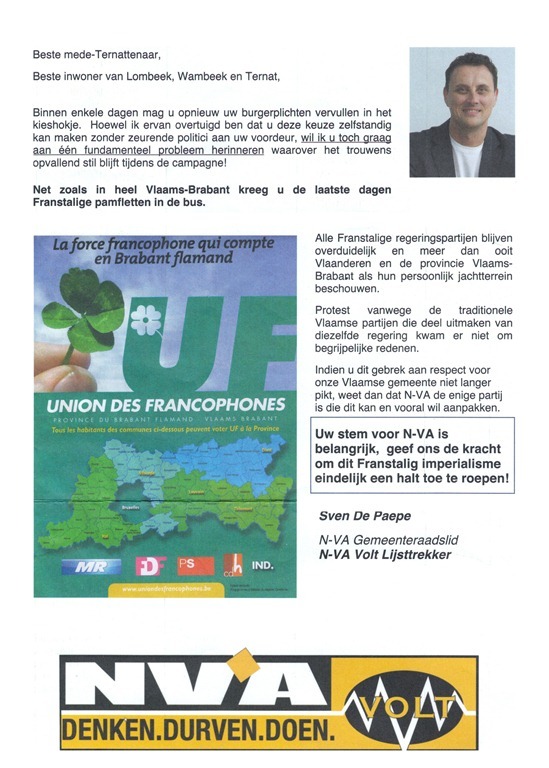 Tomorrow, the local elections will take place in Belgium and it’s being predicted that some places will see a very large amount of the Dutch-speaking population voting for the NVA (for multiple reasons). *: Flanders’s Administrative employees caught while speaking French are likely to get fired.